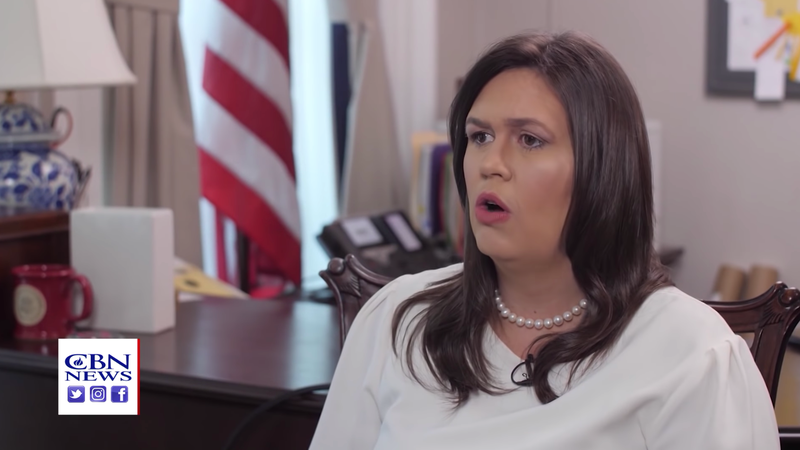 Sarah Sanders goes to work every day to tell racist lies for the president because she wants to set a good example for her six-year-old daughter, according to an interview she gave this week to the Christian Broadcasting Network. After saying that she believes God wants President Trump in the White House, Sanders was asked later in the interview if she experiences “mommy guilt” over working such long hours. Sanders said she does, but it’s worth it to inspire her children—particularly her daughter—just as her terrible father inspired her.